It would appear the UK is getting a headstart on better preparing its young people – and it’s something the U.S. has simply dismissed. The question is why. Earlier this month, personal finance courses became mandatory throughout the UK educational system. It’s set to kick off as early as next year and the benefits will mean kids in the U.S. are automatically at a disadvantage when compared to their British peers. Even in a country where we place so much emphasis on materialism, financial wealth and credit, our young adults are up against extraordinary odds and it’s clear that what we are not doing is a surfacing as a huge disservice for not only them, but our country as a whole. There was a time, too, when our graduating classes were top of the class in the financial sector. Those days could be little more than a memory, though. Even with formal operations, including the National Strategy for Financial Literacy, the Consumer Financial Protection Bureau and a host of other opportunities, budget shortfalls in recent years means these types of programs have gone to the wayside. There are no federal mandates in place and no one is considering the UK model as a viable option. And the UK isn’t the only country that’s taking steps to better prepare their young people. Canada, New Zealand, Singapore and Australia all have financial literacy programs in place that every kid attends at some point during their educational years. We have prepaid debit cards and encouragement for parents to consider these financial tools as a way to educate their young people – but aside from that and other small concessions, that’s pretty much the limit in terms of financial education. Despite these student credit cards, there are really no across the board guidelines to help parents determine when to consider introducing these financial products, whether they should choose a prepaid card over simply adding their teen to their own credit card account. Too many dynamics mean no definitive guidelines. This will help students to understand these lesson’s relevance and also build their knowledge over time. There are those here who are attempting similar promotions here in the states. The advocacy groups say they’re facing a lot of hurdles, though. The biggest being the lack of a foundation in terms of what works, what should be taught, when it should be taught and there are no bridges for parents and educators to find their way to the same page, so to speak. There are thousands of research projects, each with their own data sets, opinions and findings. This only lends to the overwhelming confusion. Couple in the credit card companies and even some banks that have their own recommendations, and it becomes clear there lacks a consistency in the efforts. And let’s not forget where the responsibility lies – who would actually step up to the plate, put the guidelines in place and then oversee any formal efforts? The UK seems to have its own goals well planned. says Laura Levine, executive director of the JumpStart Coalition for Financial Literacy. In the U.S., we need to realize that we’re a very large country that sets educational requirements at the state or local level; so we’re not likely to get nationwide financial education with the flip of a switch. She goes on to explain that until and less consumers become “sufficiently financially capable”, those efforts will continue fall short and instead, educators and parents will have to provide education in areas that make most sense to them. There are some states, however, that have made impressive strides. Among them are Tennessee, Utah and Missouri. They now require personal finance courses at the high school level before a student is allowed to graduate. Other states, including Virginia, also require economics or other personal finance courses as part of their curriculum. Unfortunately, though, a new Survey of the States shows that too many states are dropping these types of requirements completely. In fact, half of all states that ever required any kind of financial testing prior to graduation have been cut in half in recent years. The fact is, our student loan debt in this country has surpassed even credit card debt, which has long since been the culprit for millions of financial problems. Students are graduating college with degrees and debt and no solid game plans in terms of finding a career in their chosen fields. More college students live at home than ever and when you couple in new tax laws, health care uncertainties, still-high unemployment, fears of recession and a host of other economic considerations, there is no denying the writing on the wall. Our young people are woefully unprepared. It would be that way in even the best economic times – the fact that we’re still struggling as a nation from a financial standpoint only heightens these truths. 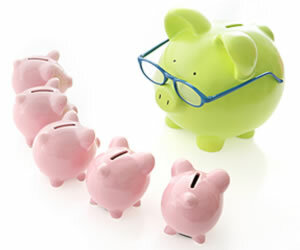 Studies show that reaching young people early in our efforts of educating them on a financial level is the best proactive approach. In order to break the cycle of “financially illiterate adults that don’t understand things like credit card terms, mortgages and payday loans” is the one thing everyone agrees on. And it’s the one thing no one is focusing on. In fact, a recent financial education project reveals that including financial education in the public school curriculum is proven to be the most efficient and most fair way of leveling the playing field and making substantial changes in the mindsets of kids. If you doubt that, consider the fact that many Americans can’t differentiate between revolving and fixed credit terms. Many have no idea how long it will take to pay down their credit card debt and they believe that multiplying their interest rate by their credit card balance and then adding the two numbers means they have a consistent and static account balance. They have no concept of how credit card interest is calculated. Many don’t even know it’s calculated daily. The report makes clear recommendations: we need to begin on the kindergarten level and says it’s a “unique means to inculcate and nurture a more sound financial culture and behaviors among future adults”. Otherwise, our young people will rely on us – the generation that has no idea how to accurately determine how long it will take us to pay off $2000 in credit card debt. Our habits are lacking – if we’re left to do the proverbial math, then we’re simply passing down our own bad financial habits. Another study, this one from the Brooking Institution – and just as alarming – found that 21% of American consumers (and of that 21%, 38% of them earn less than $25,000 annually) believe winning the lottery is their most practical way of getting out of debt. In fact, many said that unless they do win the lottery, they won’t be prepared for retirement. In fact, they will retire with no savings. None. Suppose you had $100 in a savings account and the interest rate was 2% per year. After 5 years, how much do you think you would have in the account if you left the money to grow: more than $102, exactly $102, less than $102. Less than half knew the answer.